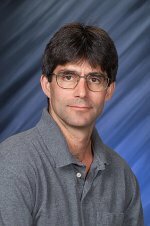 Congratulations to Dr. Greg Kimmel at Pacific Northwest National Laboratory on joining the editorial ranks of Advances in Physics: X. The "X" signifies the cross-disciplinary nature of the open-access journal. Each issue contains peer-reviewed articles highlighting the connectivity and pervasiveness of physics. Kimmel and his colleagues help build each quarterly issue, including inviting experts to write articles and obtaining peer reviews. Kimmel was asked to join the editorial board because of his cross-disciplinary research and reputation. Currently, he's studying how water behaves, which impacts topics as diverse as Europa's moons and fuel cells. His studies include the intricacies of super-cooled water and hydrophobic, or "water-fearing," water. Kimmel is well-known member of the physics community. He is a fellow of the American Physics Society and the American Vacuum Society. He organized DIET 14, an international workshop on the dynamics, interactions, and electronic transitions that occur on surfaces. His research has garnered invitations to talk at national and international conferences. In addition, his research has appeared in Science, Physical Review Letters, Journal of the American Chemical Society, and other journals.